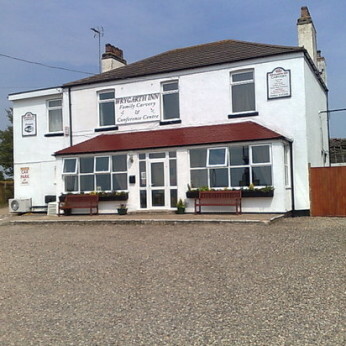 Set in the heart of rural east Riding of Yorkshire this historical Victorian destination pub/restaurant will always offer you a friendly welcome. From your arrival you will be amazed by the architectural features that are presented on the walls. Our genuine unique family friendly venue offers not only a children's playroom and village store but also Hornsea's only 9 hole crazy golf course with outdoor seating available. Our restaurant boasts a locally reared meat carvery but also a range of homemade dishes which include gluten free and vegetarian options. Our patisserie produces a full range of desserts and ice creams to compliment your meal which are available at both lunchtime and in our candlelit restaurant at night. The Wrygarth Inn is an ideal location for weddings, christenings and other special occasions or just a get together with friends.